Tasty crispy little cakes I made yesterday with my friend Jani. She’s moving away this weekend, to which I can only say: Boo! But at least we had time to make one more good thing together! 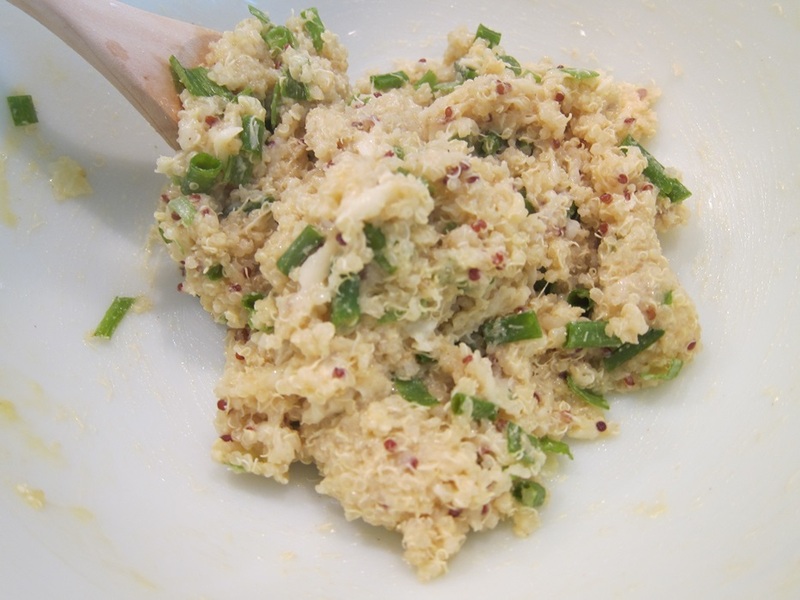 Combine all the quinoa cake ingredients except for the olive oil in a medium bowl and stir together well. Set aside for 5 minutes to come together. There’s a tiny bit of red quinoa in with the white quinoa, just because. Totally not necessary/noticeable in the taste. While you wait, combine all the aioli ingredients in your food processor and process until smooth. Heat the oil in a nonstick pan over medium heat. 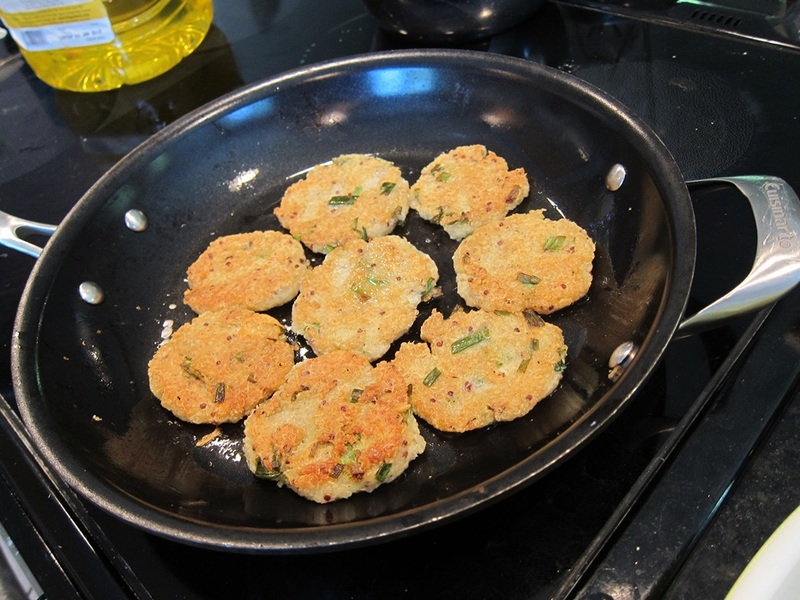 Form golfball sized portions of the quinoa mixture into flattened patties, and cook approximately 5 minutes on each side. The color of the quinoa on the top becomes a bit less bright when they’re ready to flip. Remove the browned cakes to a piece of paper towel to blot any excess grease. Serve with the aioli, and enjoy! 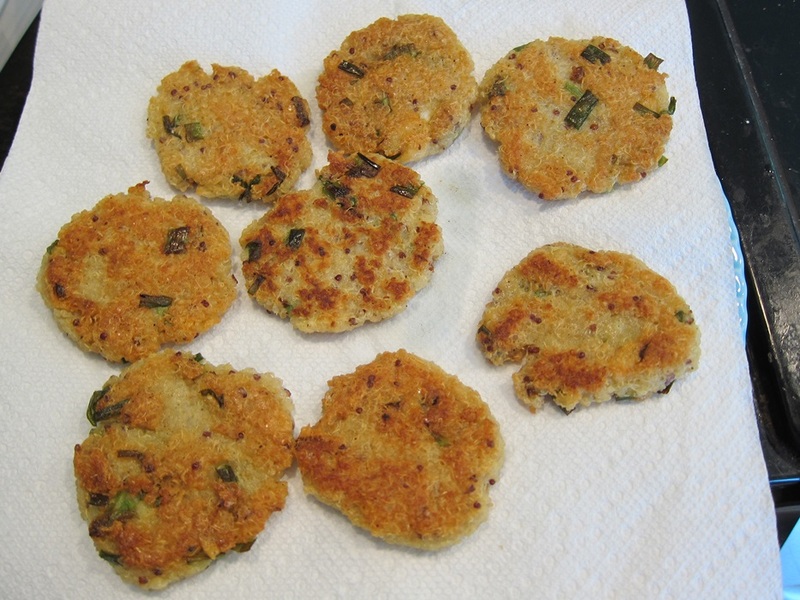 I think more cheese would have been nice, especially since they’re called “cheesy” quinoa cakes. They’re easy enough to make, and you can scarf enough of them, that I think you might as well make a double batch. 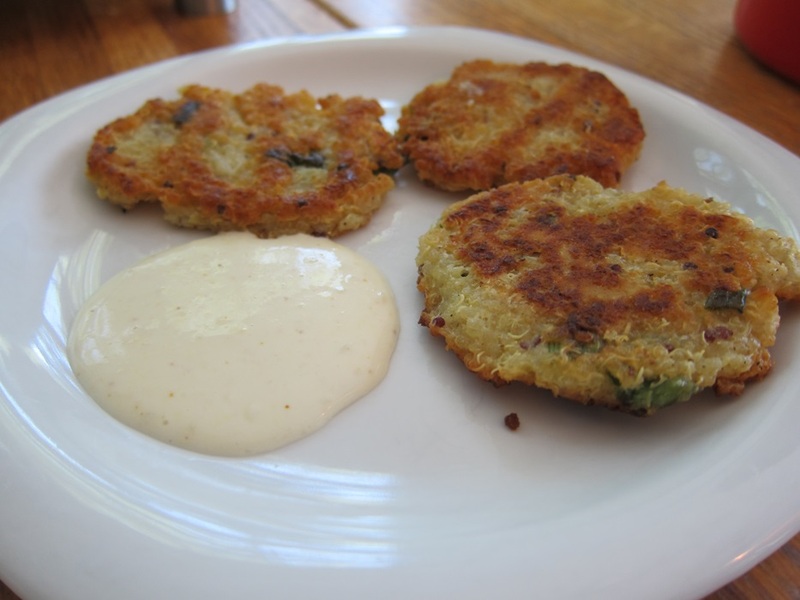 The recipe makes enough aioli that you shouldn’t need to double that. 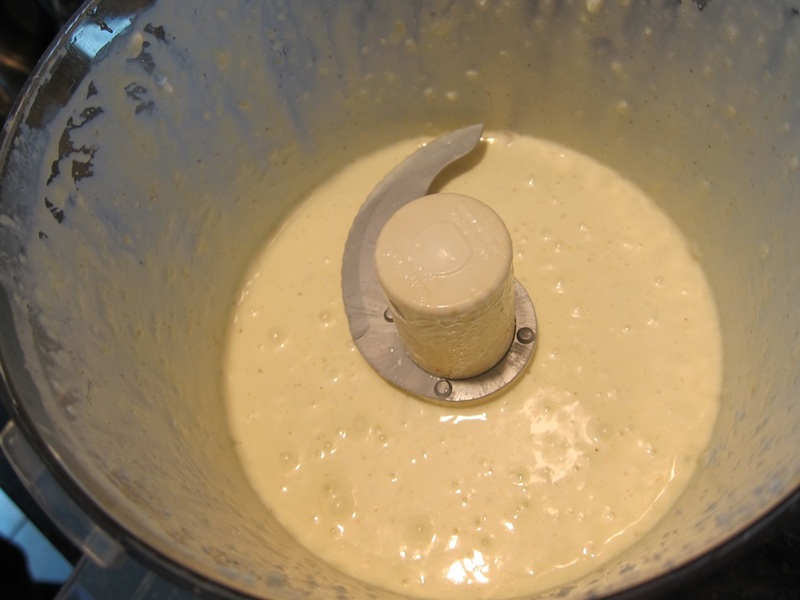 Combine all the aioli ingredients in your food processor and process until smooth. Heat the oil in a nonstick pan over medium heat. 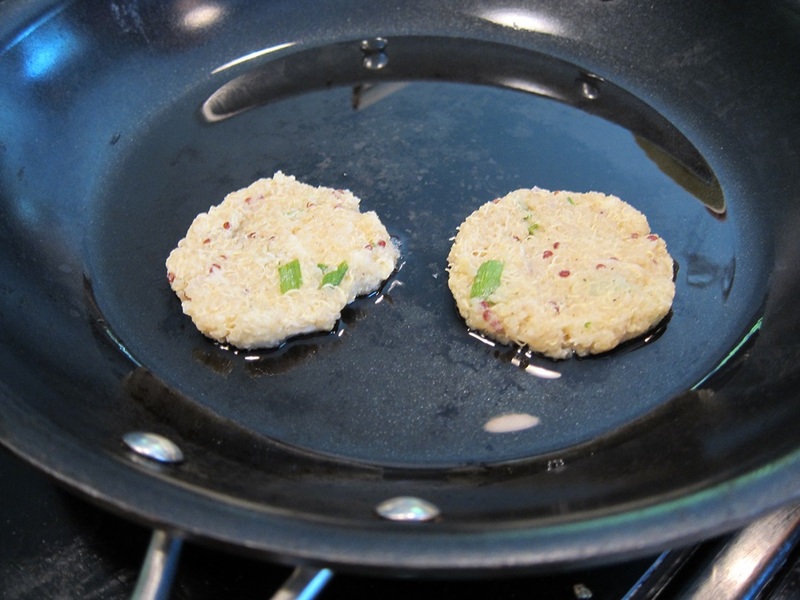 Form golfball sized portions of the quinoa mixture into flattened patties, and cook approximately 5 minutes on each side. The color of the quinoa on the top becomes a bit less bright when they’re ready to flip. Remove to a piece of paper towel, then serve with the aioli. 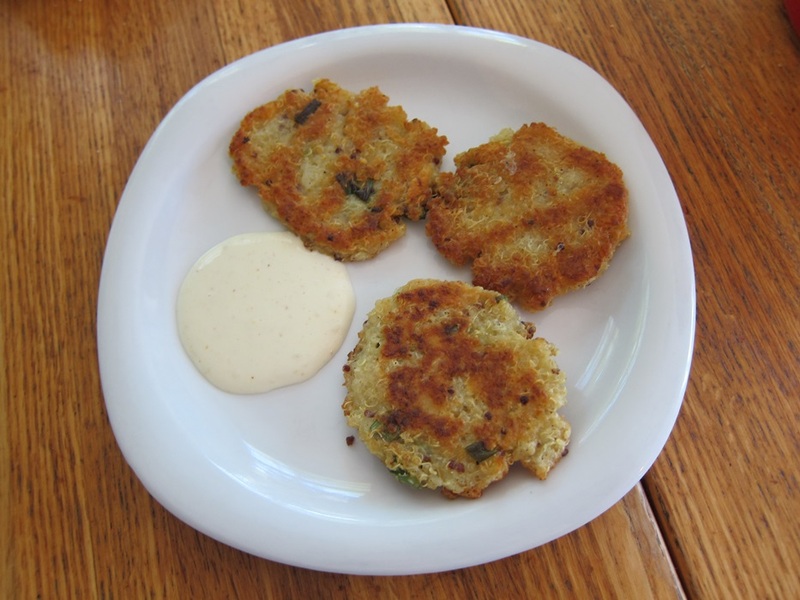 This entry was posted in Dinner, Lunch, Snack and tagged aioli, quinoa, quinoa cakes. Bookmark the permalink.